This week, the working class West Midlands of Thatcher’s Britain comes to the big screen in Ray & Liz. 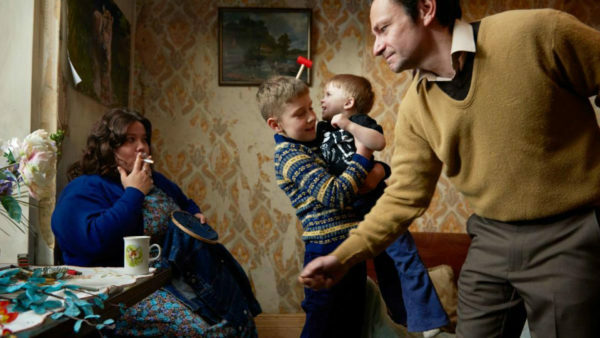 Writer-director Richard Billingham adapts stories from his own poverty-stricken childhood in his first feature film following up his acclaimed series of photographs depicting his mother and father, who provide the movie with its title. It’s a hard-hitting portrait of a difficult life, portrayed with unflinching realism. I think your role in the film is a very dominant one. It’s very much Liz who is the focal point of the film. What was it like to get a role with so much to it, as a sort of matriarch figure? I think I felt a sense of responsibility. When you dream of these sort of roles, you don’t want to then waste an opportunity once you get one. On set, it felt very free and creative, collaborating with all of the actors and with Richard. We had done a lot of research with all of the documentary footage and the photographs to help create a picture of this character. Liz is quite matriarchal in a sort of haunted sense, so I tried to dig down and channel her spirit in playing her. It was a joy, as much as she’s not a very joyful person. As an actor, this is the sort of role you dream of playing – a woman who’s complex. I know it’s a cliché at this point to bring up the #MeToo era whenever you have a film with a major female role, but how important is it for you to play female roles that are flawed and not one-note? Well, it’s a complete landmine subject. 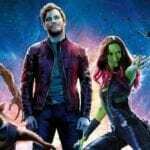 In some ways, in general, for female roles to be strong, there’s a trend that they have to give over part of their sanity or their moral compass. There’s a lot of roles that are ‘strong, but broken’. It’s really difficult actually to put a fully-fledged female character on screen in all of her complexities. I think Richard did this because it’s a lived experience for him and he knows everything about her, so you don’t get the sense that there’s any corner left unturned. She is a strong woman, but she was also a real person and so you’re trying to get close to that. You’ve mentioned a few times that this is Richard’s real life. How unusual, or useful, is it to be playing a role where you have so much information about her at your fingertips? You could let it all overwhelm you, but at some point you have to just trust your instincts and let all of that inform you. With this role, it was less imagination and more studious in preparing it. It’s like those baby birds that have to leap off a cliff – you just have to go for it. As soon as they say “action”, you’re inhabiting someone you have been researching for weeks and then off you go. That’s quite thrilling. Actors are thrillseekers, I think, in some ways. Because we had that implicit trust in Richard, and he would completely set us right if anything went wrong, we just went for it and it was a real pleasure. That was my next question! Is there any pressure on you when you know that the story is the director’s actual life? I felt lots of pressure, but that was before I met Richard. As soon as I met him, I had someone to throw millions of questions at and we rehearsed. That fear turned into excitement. That energy gets channelled into something productive and creative, luckily, otherwise we’d all probably go mad. There are some things that Liz does in the film that are pretty horrific, but I could come from a point of understanding and empathy. She gets very angry and I was trying to find ways to tap into that anger and I was thinking that it’s a shame that, when I get told off in real life, before I acquiesce, I get angry. The sadness comes out in different ways and that was helpful for me to realise. People aren’t just angry for no reason; they’re sad. I think that, with Liz, she gives voice to her sadness and bleak poverty. Her outlet was her family and so her rage came out on them. In some ways, you look at them and you think ‘what awful parents’, but the flipside of that is ‘what a sad, lonely, isolated human being’ who has fallen into a system where there’s no room to move out of their situation. As actors, we have to empathise and when you’re boxed into that tiny set, chain-smoking cigarettes, if you get to rant and express yourself, at least you feel a little more human in that environment. And what was that set environment like? One of the most impressive things about the film, as a viewer, is how clearly it evokes that setting. Was it the same for you? Richard, the art department and the designers took painstaking care in the attention to detail that you see in the film. I’ve made big Disney movies where they build a set and then tear it all apart in a day, but we were in almost exactly the same setting Richard grew up in. The authenticity helped us and was really freeing because everything was in its place. You felt the confines of a small kitchen, or a smelly bedroom, or a cold, dingy street. Back then, even having enough coins for a trip to the pay phone was a big deal. All of the departments worked under time pressure. You know what independent films are like. But they did an amazing job and we, as actors, got to play in a playground they made for us.